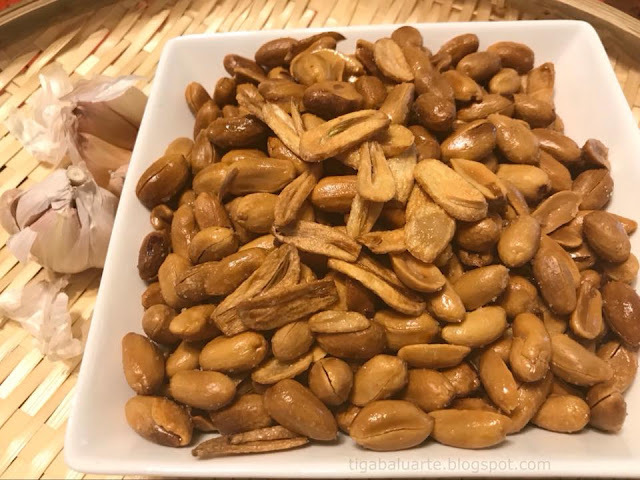 Adobong Mani also known as Garlic Peanut is a famous Filipino street food best for snacking or pulutan. There are few variations on how to make this like the regular fried or spicy chili topped with generous fried garlic. You can make this with brown skin on but I prefer it without. See recipe below. Using a wok, heat and add cooking oil. Deep fry garlic pieces in medium low heat until it turns golden brown and crispy. Remove fried garlic, drain excess cooking oil and set aside. Reduce heat to low and add the peanuts. Fry for about 15 to 20 minutes while continuously stirring every few minutes until the peanuts turns golden brown and crispy. Remove the peanuts from the wok and drain excess cooking oil. 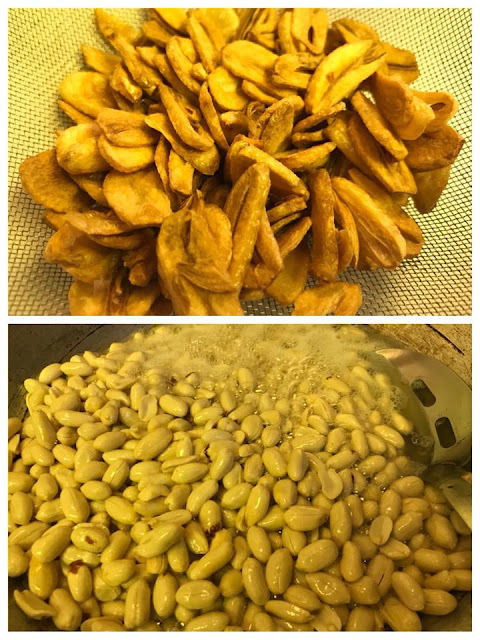 Transfer fried peanuts in a wide bowl then season with salt and mix well. Add fried garlic, mix and serve. Enjoy!